Strava has revamped its premium membership program, offering three new packages as either a bundle or individually to members. The new program is called Strava Summit, which replaces the $59.99 per year Strava Premium. Instead, the new Summit program offers three “packs” with varying features, for $23.99 each annually. The full bundle is $59.99 per year. All three packs include “Summit Perks,” which gives exclusive access to some product discounts. Summit Perks was previously called Premium Perks. The packs are called Training, Safety and Analysis. Training Pack: Includes live performance data, custom goals, race analysis, training plans, filtered leader boards, segment efforts, summit support, and summit perks. “Every athlete has a goal to strive for and a summit to reach. Whether it’s getting fit, training for a 5K, completing a century ride or feeling safer while out for a run, our new membership service Summit provides the tools to meet any goal. 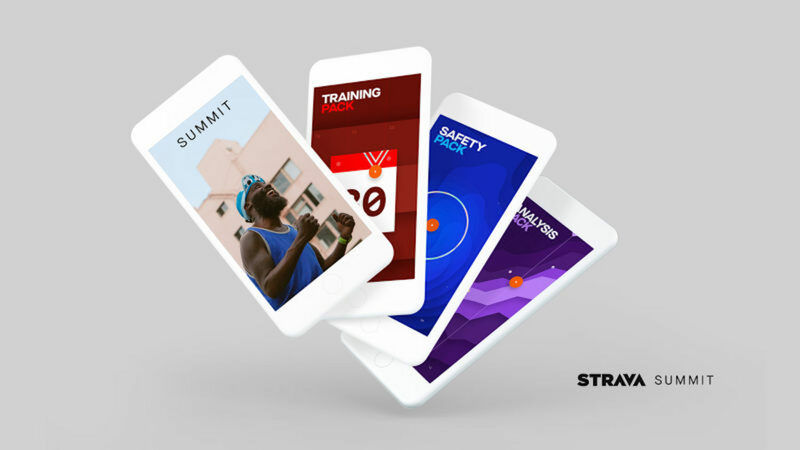 Summit replaces Strava Premium to deliver greater value to a broader range of athletes with more focused membership programs. With Training, Safety and Analysis Packs available as an all-inclusive bundle or à la carte, Summit better serves the specific needs of athletes everywhere as they strive to reach their goals. Summit’s Training Pack provides all the tools and insights athletes need to train smarter. The Analysis Pack allows a deep dive into performance data from connected devices. 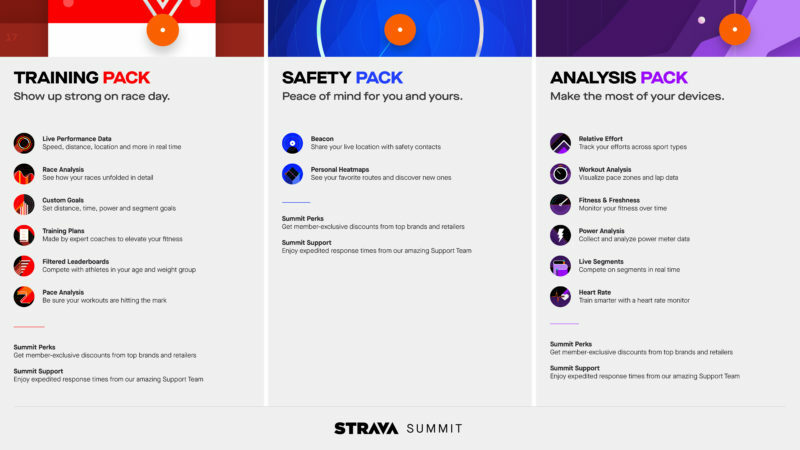 The Safety Pack enables exploration of new roads and trails with peace of mind and added security from Beacon, a real-time tracking tool for athletes to privately share their location with select friends and family”, says Strava. According to Strava, monthly memberships are also available for $2.99 for a single pack or $7.99 for all three. Existing Strava Premium athletes retain access to all Premium features. You can learn more by visiting strava.com/summit.